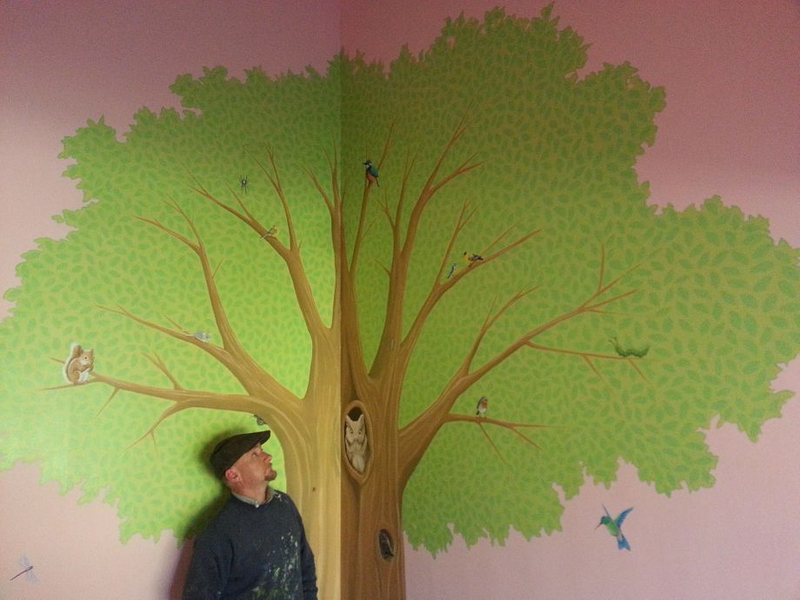 We painted this woodland animal tree in a little girls bedroom. 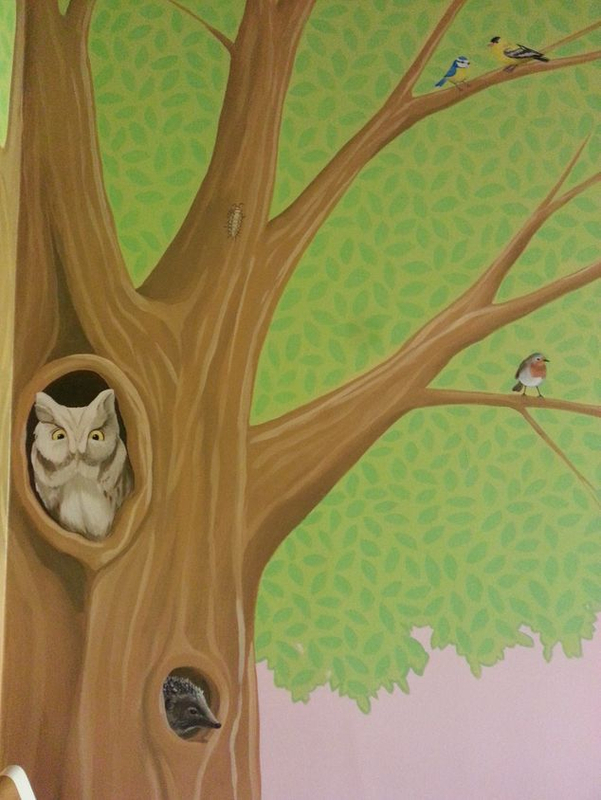 The walls were already painted a pretty pale pink, so we painted the mural over the top. The tree was 12ft high and housed lots of woodland creatures, including a squirrel, hedgehog, owl and various birds. Dotted around the room we also painted some butterflies, dragonflies and another cheeky squirrel, to tie in the rest of the room. This mural took us three days to complete.